You may be scared, but you are not alone. Do you consider yourself to suffer from dentophobia? Have you even heard of dentophobia? Well, it’s a recognised condition that affects about 2.5 million people in the UK. Nervous patients face a difficult time at the dentists and many choose to avoid going for check-ups, let alone treatments, and this can cause no end of problems, not just for teeth, but for gum disease and other health issues. Regular check-ups can help avoid issues later down the line that will require more expensive and complex treatment, and will also reduce pain and areas of decay. Even though nervous patients know this, they tend to hope tooth decay, gum disease or infection won’t happen to them. We are hear to fight back – FIGHT THE FEAR! 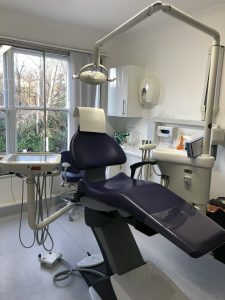 Our team at Archway Dental Group are gentle, calm and professionally trained to guide you through your treatment, with minimal intervention and maximum care. We appreciate what it is like to be a nervous patient. We too have to take our turn lying back in the chair while someone pokes around in our mouth. This is a vulnerable position, and it is understandable that people feel anxious about it. We welcome nervous and anxious patients and we recommend you see us fast, if indeed, you are one of those people who have been putting it off. We also offer longer appointment slots for anyone who would like more time and multiple treatments. Our aim is to offer patient-focussed team care, to ensure we can fix and restore your mouth, your smile and your oral health, without judgement, and at a pace chosen by you. Welcome to Archway Dental Group in Islington; our modern, welcoming reception is waiting for you, you can put your trust in us.